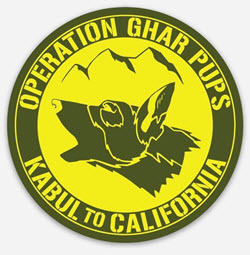 Here is the gripping story of the Ghar Pups (Ghar means “Mountain” in Pashto) as told by runner-soldier and Animal Run supporter, Chris Jones, on Facebook. 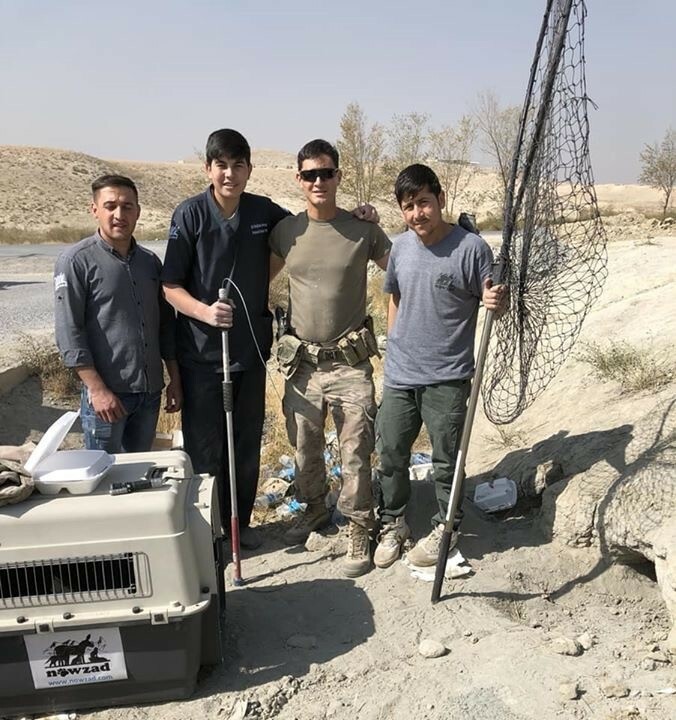 It’s a moving example of how the power of social media does good as Chris galvanized his community to save the lives of a handful of Afghan pups. 17 years after 9-11, I finally got my opportunity to serve in Afghanistan. The country is beautiful, the people are very generous and kind, and the mountains are spectacular. Day after day and week after week, I would go running through the barren landscape, climbing big mountains, passing by old destroyed Soviet tanks, and getting to know the many packs of stray dogs that live off food scraps from the military base. After four months of running, I came upon this litter of four puppies living in a hole on the side of a fairly busy road. Every day or two we would look at each other and just kind of acknowledge each other’s existence. After several days, I started giving them water. Boy were they thirsty! Shortly after that, I started sneaking out some food scraps from the chow hall. Boy were they hungry! In a matter of weeks, we built a level of trust where the puppies (and the mother and father) would let me walk right up to their hole to feed them and give them water. This went on for weeks as the puppies began to grow and start running around a bit. As I got to know the pups, I gave them nicknames; Blackie eventually renamed “Ghar”, Patches, Calico, and White Stripe. All of the puppies appeared to be in pretty good health, except for Blackie who has a severe eye infection. Days later, I realized that she was also deaf (or partially deaf) as she could never hear me walk up behind him. After sending home some pictures, a few friends urged me to find a way to save the pups. I was introduced to an organization called Nowzad. I learned it is the only official animal welfare shelter in the whole of Afghanistan. 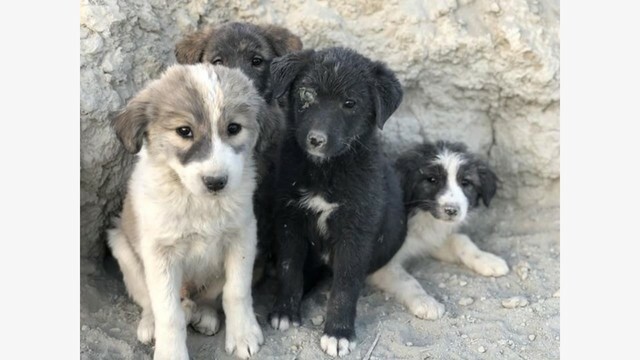 They said if we could find homes for the pups and raise money to cover the medical treatment and transportation cost to the US, they could take them in. Days later Nowzad came out to my base to rescue the puppies. It took 3 long days, a bulldozer, and many hours with shovels and picks to dig into the 40-foot tunnel system the puppies were hiding in! But in the end, all four puppies were safely captured and taken back to the shelter to begin human socialization and medical care. The puppies have already been given homes in Northern and Southern California to people I know and trust. Now we just need to raise the money to cover the costs of their medical care, food, supplies, and transportation to the United States. We needed to raise approximately $10,000 to cover the costs and we raised just above that in five weeks. It’s been a busy few weeks here in Afghanistan, but I wanted to reach out to say thank you to the 350+ people who donated money to rescue the Ghar Pups, donated money to Nowzad’s general fund and the people who have donated food, medicine and supplies to the Nowzad shelter. I have never met many of you and I know that many of you are not on Facebook. Also, many donors want to remain anonymous. I just want to share my appreciation for everyone’s help over the past 5 weeks. Your generosity is much appreciated by these animals! Out of the 4 puppies that were initially rescued, 2 passed away while at the shelter. Calico died of a worm infection and about 10 days after the rescue and Indy (White Stripe) died from a lung infection. Ghar (Blackie) with the bad right eye, had a grass seed stuck in her eyelid this whole time which created the eye infection. It appears that she will not need surgery and will most likely have full eyesight (and hearing). Lastly Cooper (Patches) has remained super strong is is very playful! 160+ of you donated directly to rescue the 4 pups to the United States with a cost of roughly $10,000. The majority of the expense is the transportation costs of the dogs in the dog crates. Each crate costs roughly $4,000 depending on the end destination. It looks like Ghar and Cooper will travel in one crate together after Christmas. 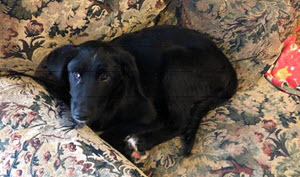 Ghar will be heading to her new home with Tammy and Cooper will be heading to the Sacramento area with Christopher’s parents. 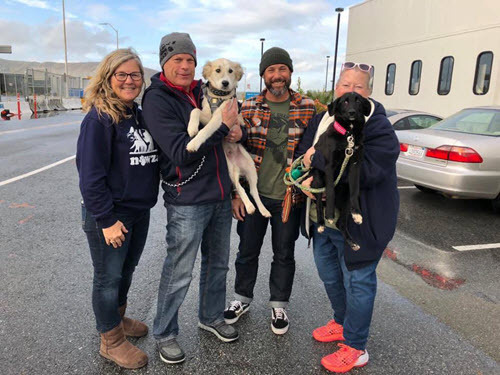 With the loss of Calico and Indy, Nowzad has found another young adult dog named Benjamin who will be taking their place and will be flying to Southern California to his new home with Christopher. Benjamin will be flying out of Kabul on Tuesday! Thank you for your generosity and thank you for caring. 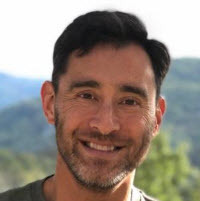 I just found out that all of the dogs at Camp Scorpion and KMTC, including the Ghar pup’s parents were all recently killed. One of the many stray dogs bit an Afghan soldier and he got rabies. So it was decided that all stray dogs be destroyed. I am glad many of you helped rescue the 4 puppies before the dog culling. On a happier note, the two surviving pups are flying to America today! 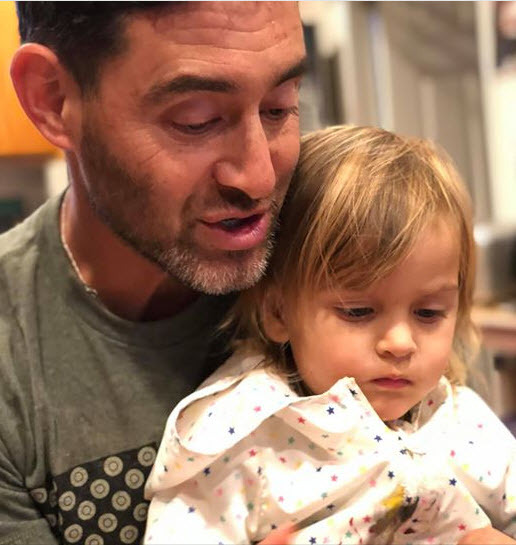 Post from Tammy – Ghar seems to be adjusting to life in California. She is fascinated with the toilet, can’t seem to figure out what grass or green weeds are, and didn’t know how to go down steps or jump into a car, but it only took one time of me lifting her onto the couch to get that one down. Chris Jones and Katherine, none of this would have been possible without you. I am forever grateful to both of you. There are so many friends and people that I don’t even know that contributed to Ghar’s homecoming. I just want you to know she is spoiled rotten already! Thank you so much for your help in getting her to California!